Heavy hearts head to California as MotorSportNotes previews the IndyCar season finale at the GoPro Grand Prix of Sonoma with 6 drivers in contention for the Astor Cup. Last weekend’s tragic events at Pocono have massively overshadowed the final race of the year. After what had promised to be a thrilling ‘winner takes all’ climax, the outcome of the title fight pales in to insignificance compared to the loss of Justin Wilson. A number of poignant tributes have been written about the British driver by those who knew him best. The character that set him apart – his fighting spirit, racing ability, kindness and enthusiasm for motor sport – was however obvious to even those who only met him a handful of times. Never one to refuse a picture or autograph his loss will be felt by many fans and insiders. 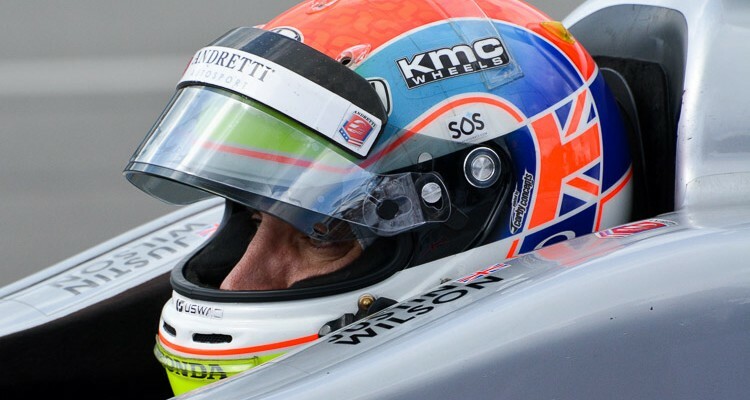 Drivers are likely to wear tribute decals on their helmets and cars, with Daly Coyne planning a tribute livery on their cars. Longer term we hope that improved safety – see our article on cockpit safety – will be part of Justin’s legacy. As far as this weekend is concerned, the best tribute his fellow drivers can give is to put on a great show and to race the way Wilson did: hard but fair. No dirty moves, no helmet throwing, no flipping the bird or post-race bust ups – just hard racing followed by a handshake. MotorSportNotes highlighted before Pocono that the biggest challenge for Penske in the championship was who to back. Allowing each driver to run for the win nearly backfired but DNF’s for Rahal and other leading drivers limited the damage. Juan Montoya extended his points gap to all the main contenders, including teammates Power and Castroneves. Continuing to allow all their drivers to push for the title is a risky strategy when their leading rivals for the title are putting all efforts behind one man. For those chasing Montoya – especially Graham Rahal and Scott Dixon – the game plan is exceptionally simple: win the race. 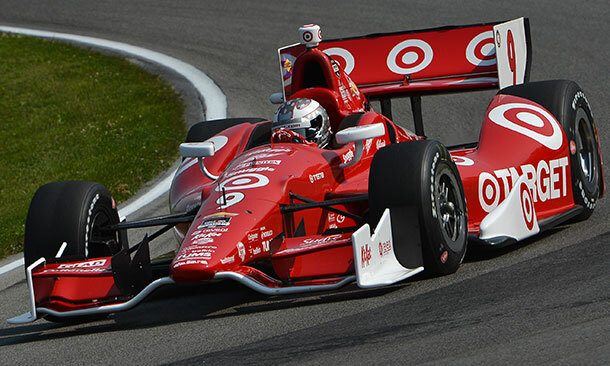 In that regard the smart money will ride on Scott Dixon and Will Power as previous Sonoma winners. Dixon comes in to the race with the full backing of his three teammates, which will be a significant advantage. Options will present themselves during the race for the Ganassi squad to legally help their team leader: split strategies, backing up the field or similar could easily come in to play on Sunday. Power on the other hand – just like championship leader Montoya – lacks that support. Penske’s approach to date suggests that a decision to favor one driver will come very late in the race. With that comes the very real risk of it being too late to make a difference. Power should be leading the field on pace alongside Dixon however his title defense has been a story of mistakes and miscues. A heavy right foot caused a costly pitlane spin at Pocono which was swiftly followed by an over cautious pit exit. Power escaped with a fourth place finish due to the misfortune of others but it was just another uneven performance. His ratio of five poles to one win this season sums things up pretty nicely. 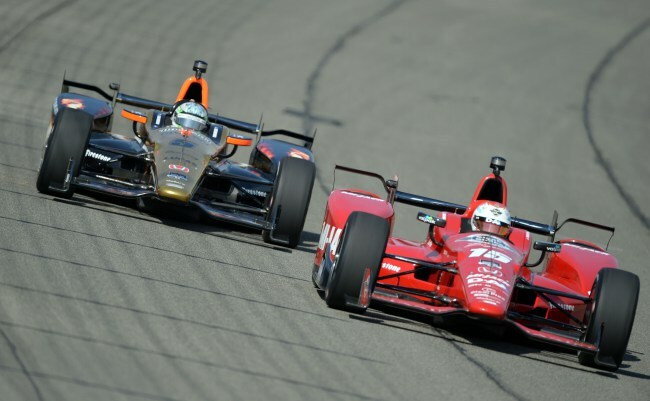 Graham Rahal had hoped to use his momentum and Honda’s improved performance at Pocono to put even more pressure on Montoya and Penske. Tristan Vautier had other ideas and Rahal’s chances took a dive as a result. Despite a larger gap in the points Rahal is back in the role he has excelled in: lone wolf chasing down his prey. The simplification of Rahal’s team operation and his objective this season has brought the best out of the perennial underachiever. Another stellar road course performance and troubles for Montoya could seal the title for Rahal. Based on his performances this season, it is eminently possible. A look through the record books however highlights the unhappy truth that Sonoma is something of a bogey track for the American. Even if Montoya hits trouble, the proximity of Dixon in the points means nothing short of a win is going to suffice. Realistically Castroneves and Newgarden will require multiple DNFs for the leading quartet to stand any chance of taking the IndyCar title. Based on his performances this season, Newgarden could easily score a top three or claim the win. Finishing his breakout season as the ‘winningest’ driver would be the icing on the cake and a parting gift to Carpenter Fisher Hartman Racing, should he leave for pastures new. Andretti Autosport has endured a poor season and an absolutely horrid past week. As a previous winner at Sonoma, Ryan Hunter-Reay should play a role on Sunday after continuing his late-season recovery with a bitter-sweet win last weekend. A strong challenge from Hunter-Reay and other members of the Andretti team would be a more welcome intervention from non-championship drivers than last weekend’s Rahal/Vautier shunt. For the usually processional Sonoma Raceway this could prove to be a surprisingly thrilling finale. Tragically that will be little comfort for the wider IndyCar family.